Last month, I made an initial comment on the PPIC/UC-Davis California Water Blog post that salinity effects on Delta agriculture from a proposed peripheral tunnel is a dog that doesn't bark, and the approving post that followed on the "BDCP blog". My original blog focused on the fact that both blogs deceptively suggested the PPIC had modeled the BDCP proposal, something I have complained about since the original report was released nearly a year ago. But that post is about the spin, and this post speaks more to the substance (i.e. boring, but keep reading). This post explains why I see greater evidence (or hear barking dogs) of potential salinity impacts on Delta ag than the Davis researchers. Along the way, I will make a policy proposal and a research proposal that would go a long way towards resolving the issue. Predict salinity change from Delta conveyance. Estimate impact of predicted salinity change on agricultural production. Estimate economic effect of change in agricultural prodution. The PPIC/Davis team claims their study is the most advanced because it used a detailed hydro-dynamic model in the first step, and their results showed little to no change in Delta salinity levels for the conveyance facility and operations they modeled. If this result is true, then obviously there is no economic impact, and debating the 2nd two steps of the analysis is a waste of time. I have no reason to doubt the result of the hydro-dynamic modeling, but I know it has left many people puzzled by the surprising results. I recommend the PPIC/Davis folks do more to explain these surprising hydro-dynamic findings to the public. When we looked at this same question for the DPC Economic Sustainability Plan, we wanted to use hydro-dynamic modeling results too but didn't have any. We asked BDCP to share their current modeling, but they declined. Instead, we used something that is arguably more important than modeling results, the BDCP's proposed standards for Central and South Delta Salinity. 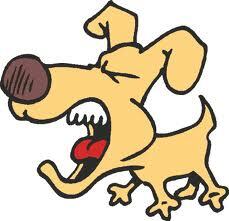 And yes, those dogs were barking loudly since the draft BDCP did not set maximum salinity standards in the central and south Delta like they did for other areas. Furthermore, at the same time, the sponsors of the BDCP, the Department of Water Resources' is currently pushing for a 41% increase in maximum south Delta salinity levels during the growing season. If DWR thinks their will be no salinity impact like the PPIC says, why are they trying to change the current standards? So that leads to my policy proposal that follows directly from the PPIC findings of marginal salinity impacts. The BDCP should commit to maintaining the current central and south Delta salinity standards into the BDCP, and DWR should drop it's current proposal to the State Water Resource Control Board to weaken those standards. If the BDCP isn't willing to do that, then they shouldn't be promoting the PPIC/Davis findings to advance the tunnels since they will not have shown any faith in the results. In the PPIC/Davis model of Delta agriculture, the salinity effect on crops is assumed to follow the analysis of a paper by Hoffman which DWR is using as its primary support for its proposal to weaken south Delta salinity standards from 0.7 ec (mS/cm) to 1.0 (mS/cm). Hoffman's paper does not include any actual soil or crop data from the relevant parts of the Delta, but makes some favorable assumptions regarding soil conditions to derive crop yield functions where irrigation water salinity has virtually no effect below a threshold of 1.0 ec. Under different soil assumptions, the thresholds are much lower. Hoffman provides very flimsy evidence to support his crucial soils assumption. Last year, lawyers for Delta farmers showed me maps of Delta soils that contradicted Hoffman, and Delta farmers told me they had experienced crop damage from salts that Hoffman's study assumes could not occur. The bottom line is that this assumed yield function with a relatively high threshold before salinity impacts occur drive the UC-Davis results since their model programs in the disputed Hoffman view of the Delta. In other words, they have muzzled the dog in their model so it can't bark at current or predicted salinity levels in the Delta. In contrast to the programming approach with an assumed salinity yield function with a 1.0 ec threshold, we used an econometric approach in the DPC Economic Sustainability Plan. This approach doesn't assume a yield function, it uses a detailed field level data set to statistically test whether Delta farmers crop choices are correlated with salinity after controlling for a variety of other factors. This statistical approach showed a strong correlation between salinity and crop choice in a data set where virtually all the observations were below Hoffman's 1.0 ec threshold. This econometric approach is preferred by most economists when the data is available (field level data needed for this kind of model is pretty new), and I should point out that the Delta Science Progam's Independent Review Panel praised this modeling in the ESP as "state of the art" and made a positive contrast between it and the programming approach used in the PPIC/Davis study. With this background, you should see why I laughed at this passage in the recent PPIC/Davis blog post in which they offer an explanation for why their salinity effects are so low. Second, we conducted the analysis island-by-island, which enabled us to show that the islands at risk are those that grow the lowest value crops. Third, these low-value crops are the most salt-tolerant. 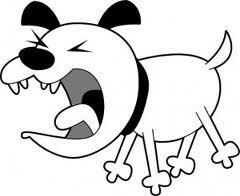 The bold was added by the dog barking at evidence of salinity impacts on Delta crops. The UC-Davis researchers ignore what this data says about their model and interpret it as an explanation for why economic impacts are low. It just so happens that the low-value, salt tolerant crops are already grown in the areas that are near but below the threshold where they assume salinity affects crops. How fortuitous! So if salinity rises further and bumps against the threshold, there will be little economic impact since these fields already have low value crops. Other scientists might look at this data, and begin to question their model assumptions. And here is my constructive suggestion for research. While I think there is pretty compelling evidence in the crop choice data that salinity has a bigger impact than assumed by Hoffman/PPIC/Davis, I don't believe it is the final word. It would be useful to test these relationships more directly through data collection and research in the field about Delta soils and crop response to salinity. I made this suggestion at the Delta Science Conference as an area where they could sponsor some field research that would go a long way to settling these questions. Step 3. Estimate economic impact of change in agricultural production. In the final step, the PPIC/UC-Davis team used an IMPLAN model to translate the changes in agricultural output into economic impacts such as lost jobs and income. This is usually a relatively straight-forward step, but I will note some small inconsistencies. In the Delta study, they find about 16 lost jobs for every $1 million decline in agricultural revenue. This is about half the 30 lost jobs per $1 million decline in agricultural revenue that they predicted in 2009 from water shortages. I see two differences in their Delta modeling that result in lower multipliers that I think are poorly justified. First, they have not adjusted the production functions to account for contract labor as they did in their studies of water shortages in other regions. Second, they have modeled the multiplier effects over a very narrow region, compared to the eight county San Joaquin Valley used for other agricultural regions. Their Delta zipcode region extends just outside the legal Delta boundaries but excludes many important areas where many Delta workers, suppliers, and even farmers are located including Lodi and south and east Stockton. In addition, it leaves out important shopping areas around the Delta in Lodi, Stockton, Elk Grove, the mall area in Tracy, and Sacramento. If you miss significant areas where employees live and shop, you are certainly going to underestimate the "ripple" effects in the local economy. Despite all this criticism, I do agree with the UC-Davis researchers about one of their conclusions regarding Delta agriculture and the BDCP. As the BDCP is developing (shrinking the conveyance but not the habitat) the issue of land availability is a bigger economic threat to Delta agriculture than salinity. The bond insurers protesting Stockton's bankruptcy have filed their protests to the City's eligibility in court. I have read their documents and don't find their case compelling. For every good point, the creditors offset it with several ridiculous arguments and omit, ignore or distort a lot of other highly relevant information. I think they have a case that the city's initial ask and pendency budget is inequitable towards them and is not an acceptable blueprint for a final plan of adjustment, but the case isn't there yet, it is still determining eligibility. 3. the date of issue. For bonds issued in 2007 and 2009, it was already been clear that the City was in the midst of a collapsing housing bubble and recession, already had high debt, had just cut the utility users tax, and the excessive employee contracts were already in place. These lenders were taking a huge risk and were facillitating the City's excessive risk taking. I would argue should take higher losses than 2004 bonds when the City's financial and economic outlook was stronger and it had lower levels of debt. 4. whether bond underwriters proactively gave the City bad financial advice to convince them to issue ill-advised debt. As far as I know, this criteria would only apply to the pension bonds, and it gets to my earlier posts and press stories about the pension bonds, and how the bond underwriters had a special meeting to present "Pension Bonds 101" to the City Council in which they gave a deceptive and misleading presentation that did not accurately describe the enormous risk of the pension bonds (not just the probability of losses, but that those losses are correlated with times of general budget distress), encouraged bad financial practices such as deferring initial principal payments for short-run budget savings, and did not discuss that in a period of financial distress that they expected that the City would be obligated to pay the bonds first and thereby cut services and employee compensation more during tough times. Most importantly, the bond underwriters actively advised the city council not to make the pension benefit cuts, the very same cuts that their bond insurance partners now demand of the city and say the city should have done at that time. Wall Street sold the pension bonds to the city specifically as a substitute for tough budget choices and benefit cuts, and now they say the City is ineligible for failing to make the cuts that they told them they didn't need to do back in 2006-07. So if you look at the City's 5 big ($30 million or more bonds) in this way, I think there is a strong case that the pension bonds take the largest loss. 2. 2004 Parking Facilities: $32 million outstanding, secured by parking garages, insured by NPFG, garages were already taken over by creditors prior to bankruptcy filing when City defaulted on payment. 3. 2007 Pension Obligation Bonds: $124 million outstanding, unsecured obligation, insured by Assured Guaranty. 4. 2007 400 E. Main St (former Washington Mutual building, intended to be new city hall): $40 million outstanding, insured by Assured Guaranty, building already taken over by creditors prior to bankruptcy filing when City defaulted on payment. 5. 2009 Public Facility Bonds. $35 million outstanding, secured by 2 golf courses and Oak Park property, no bond insurance. Achieving Co-Equal Goals: The Administration's proposal reiterates that federal water resources planning and development should both protect and restore the environment and improve the economic well-being of the nation for present and future generations. In many ways, the proposed revisions to Federal guidelines are similar in its goals to California's 2009 water legislation. But there are some key differences. As of 2009, the State of California defines co-equal goals in the following way. 'Coequal goals' means the two goals of providing a more reliable water supply for California and protecting, restoring, and enhancing the Delta ecosystem. In both cases, the concept of co-equal goals is used to elevate environmental considerations to be equally important as economic considerations. But the California law limits itself to one narrow economic consideration, water supply reliability, and there continues to be confusion over what exactly "reliability" means. The coequal goals shall be achieved in a manner that protects and enhances the unique cultural, recreational, natural resource, and agricultural values of the Delta as an evolving place. That adds a few additional economic considerations, but the economic concerns in the Delta are a lot bigger than Delta Ag and recreation. Even when it comes to Delta ag and recreation, some emphasize the importance of the words "unique" and "evolving" to severely restrict their consideration. The issue goes well beyond a lack of proper consideration for the Delta and regional economy, but a completely inadequate consideration of costs and impacts on taxpayers and ratepayers across the state through the continuing neglect of economics and finance. The elevation of water supply reliability over other economic considerations makes California's definition of co-equal appear discriminatory and arbitrary when compared to "economic well-being of the nation for present and future generations" in the federal language. I doubt it is discriminatory in a 14th amendment way, but I can see no compelling reason for the state to elevate the importance of water supply reliability among all economic concerns and I doubt that was the legislature's intent. The use of a more inclusive term "economic well-being" would still allow for full and fair consideration of water supply reliability in formulating Delta plans. I actually think it would make it easier for the agencies who have to make Delta plans and implement them since there are accepted methods and definitions that can be used for evaluating "economic well-being". 'Coequal goals' means the two goals of improving the economic well-being of California for present and future generations, and protecting, restoring, and enhancing the Delta ecosystem. 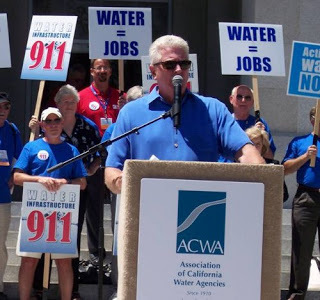 In light of yesterday's ACWA blog denouncing bumper sticker slogans, I feel compelled to repost one of my favorite photos from the media circus preceeding the 2009 water legislation that ACWA championed (which one could argue made a bumper sticker slogan the law). This shot is from ACWA's 2009 "water march" to the Capitol in summer 2009. The anti-bumper sticker ACWA blog post also contains two of my favorite over-simplified bumper sticker slogans from peripheral tunnel promotors, "One State" and the "Delta Fix". To be fair, I think the ACWA message has improved a lot since 2009. They even invited me to be on a panel at their December conference even though I make a habit of needling them on this blog. But if ACWA is serious about this "One State" stuff, there is a lot they could do to lead by example. They should start by endorsing Rep. Garamendi's safe levee and benefit-cost bill. What could be more "one state" than making the Central Valley Project support the levees that have conveyed their water for 50 years (no more free riding). What could be more "one state" than a comprehensive, statewide benefit-cost analysis of the "Delta Fix". Instead of opposing the Berryhill statewide benefit-cost bill of the peripheral tunnels in the Assembly, "one state" ACWA should be promoting it. Bob Deis made the city's case for cutting payments to bondholders through Bankruptcy in the Wall Street Journal last Friday. I agreed with him through the first 2/3 of the piece. Creditors do bear some responsibility for the City's fiscal woes, and the City has cut services to a dangerously low level. The city has a primary responsibility to provide basic services to its citizens today, especially in the midst of a rapid spike in crime. But Mr. Deis starts to lose me, and I suspect most WSJ readers towards the end of the piece when he argues that they couldn't cut employee compensation or CalPers, because the city has been losing police officers and needs to stay competitive. I am not convinced that the turnover in police is completely due to recent compensation cuts, other cities have made similar percentage reductions so I don't think the Stockton's relative compensation and benefits has diminshed significantly. I suspect it has more to do with bad morale from the nasty fighting between the city and the union over the past 3 years, the fact that the job has gotten tougher with a diminshed force and increasing crime, and the anticipation of more serious compensation/pension cuts being imposed through bankruptcy. Officers may correctly view more cuts as inevitable in the long-run despite the City's recent efforts to hold the compensation line in its short-term pendency budget and initial ask to creditors. The city is hiring a lot of new officers right now, and my concern is that the city may still be making promises it can't keep to recruit them. This is an opportunity to remake the force with officers who understand what the city can truly afford to pay in the long-run and are committed to making a difference in the City and contributing to a turnaround. But this easy for an academic like me or a bond insurer executive in a corporate office to say when the reality is that Stockton has an emergency need to hire more police now (actually months ago), not in the future after new compensation and recruiting plans can be developed and implemented. I believe that quality police officers can be hired and trained for sustainable levels of compensation, but it will take longer to find and train them, and the transition will be inevitably messy. Unfortunately, the criminals aren't waiting. I am not sure of the solution to this very tough problem. The City may need some non-financial help providing services through the transition. Mr. Deis says that pension benefits cannot be cut during bankruptcy because that would lead to an exodus of police officers and senior management. But perhaps the real reason that Stockton has chosen not to cut pensions is that, ironically, it cannot afford to. That's because cutting would trigger a takeover of pension obligations by the California Public Employees' Retirement System (Calpers) and, under California law, Stockton would be required to pay Calpers a lump sum to cover unfunded liabilities. The kicker is, those liabilities would get repriced at a 3.8% discount rate, instead of the 7.5% discount rate that Calpers normally uses for pricing liabilities. So Stockton, already struggling with what it perceives to be hundreds of millions of dollars of unfunded pension liabilities, would face a demand by Calpers for a much larger amount if it tries to cut pensions. In other words, Stockton is trapped in Calpers's game of kick the can down the road. Stay in the game, and it gets to use Calpers's rosy investment assumptions to underfund its pension obligations, passing the true cost to future generations. Quit the game, and it's stuck paying the true cost now. I have been busy making travel plans for myself and family members lately, and I am extremely annoyed at the cost of flights and poor connections out of the Sacramento airport. I am increasingly finding flights from the Bay Area to be substantially less expensive with better connections. I strongly suspect that this is at least partially to blame on the outrageously expensive $1 billion Terminal B replacement, and the resulting hike in airline lease rates, parking rates and other costs. Before they started building the project, the airlines begged the Sacramento Airport Authority to consider less expensive alternatives before embarking on their grand plans, but were ignored. The bond payments for Terminal B are finally starting to kick in, and the Sacramento Airport authority could be in significant financial trouble in a few years if they aren't able to increase traffic. Since 2008, the airline terminal rental rates at the Sacramento Airport have more than doubled, and annual debt service costs have increased from about $20 million to $80 million. With Frontier Airlines announcing they are pulling out of Sacramento at the end of the year, the job just got tougher, and airline fares will probably go higher now that Southwest is losing a low-cost competitor in the market. Data from the Sacramento Airport bears out the problem. Since the airport rates were jacked up to pay for the new terminal in 2008, passenger traffic at the Sacramento airport has declined 17.5%, compared to 1.7% decline nationwide over the same period. Undoubtedly, the recession is partly to blame, but I suspect they are losing traffic to other airports as well, and there is no sign of a significant bump in traffic from the new Terminal. Of course, none of this stopped the Sacramento Airport Authority from receiving tons of awards, including economic development awards from various local groups who rave about the pretty new terminal. This makes me wonder whether economic development awards for people running public agencies are bad for economic development. It just encourages them to build costly monuments and take on excessive debt for the next generation. What would really help economic development is not a pretty gateway, but more flights at lower costs. While Terminal B was outdated and needed to be replaced, it could have been done with a similar facility as Terminal A for a fraction of the cost. By increasing rates a few years ahead of the increase in debt service, the airport has built up some financial reserves. I wouldn't expect any serious financial issues for several years, and the airport authority will probably squeak by, although the citizens of the region will endure lousy schedules and higher fares. Maybe Frontier Airlines will come to Stockton to join ultra-low cost Allegiant. For the past two months, there has been a steady flow of op-eds from urban water agency leaders that follow roughly the same script. This one from San Bernadino caught my eye this morning and is typical. It piles the fragile levees argument on extra thick, but at least spares us the "one state" line that appears in most of them. But what really gets my attention is that they are all giving very consistent numbers for the ratepayer costs. Construction of the new conveyance system is expected to be under way by 2017 at a cost of $12 billion to $14 billion, with another $9 billion needed for eco-system restoration. That amounts to a cost of $1 per person or about $4 to $5 per household per month over the anticipated life of the project. The simple math, 25 million people times $1 month ($12 year) is $300 million per year, maybe $400 million factoring in some population growth and rounding up. This is compared to the estimated annual debt service and operating costs of the facility is $1.2 billion. That means that the urban agencies expect the portion of the state's agriculture industry that uses Delta water to pay $800-$900 million annually. Is that affordable or in the best economic interests of agriculture? I highly doubt it. 1. They aren't telling their customers that they are counting on agriculture to finance the vast majority of the conveyance project, and that there are serious risks for their water rates and/or taxes in the very probable case that agriculture can't pay that much. 2. They are leaving out the "$9 billion" ecosystem cost that will also be largely paid for by their ratepayers, although through their taxes not their water rates. They should say the plan also depends on $9 billion in ecosystem costs paid for with their tax dollars, crowding out investments in local schools, health and welfare programs, or requiring a general tax increase. Divide that $9 billion by roughly 40 million Californians and you get $225 per capita, about $700 per household. 3. They say nothing about alternatives and comparative costs. There is a strong case that a combination of Delta levee upgrades, local water supplies, conservation and recycling will be less expensive, more resilient to droughts (the biggest reliability threat), save lives and protect critical statewide transportation and energy infrastructure, and create jobs across the state, including southern California. A friend sends me this educational pension bond video created by William F. Sharpe, 1990 Nobel Prize winner in economics, and Professor Emeritus at Stanford. Too bad the City of Stockton didn't take Pension Bonds 101 from Professor Sharpe rather than Lehman Brothers. He is both more entertaining and accurate. As evidenced by the Governor's news conference, rationalizing the expense of the Delta tunnels causes people to say all sorts of strange and contradictory things. This passage from LA Chamber of Commerce President and a prominent Silicon Valley business leader in the SF Chronicle startled me as much as Governor Brown's blunt comments. The public water agencies that rely on delta water exports would pay for the new project, so the final proposal must make business sense for them. The same holds true for the state and federal governments, which would invest in habitat restoration. Huh? Government agencies want to issue billions in debt and spend ratepayer and taxpayer money on a big project; thus it must make business sense since government agencies in California want to do it. This is the logic of the LA Chamber of Commerce and the the Silicon Valley Leadership Group? It sure isn't what you typically hear at a Chamber of Commerce breakfast. Is this no longer the state where local governments are declaring bankruptcy? Is this no longer the state with the nation's lowest credit rating? Is this not the state that just passed a budget that proposes cutting 3 weeks off the school year if the highest in the U.S. income and sales tax rates are not further increased? Aren't some of these agencies $500 million behind in repaying interest-free federal loans that were made 50 years ago? Beyond the surprising faith in the business planning of government bureaucracies, the statement is factually wrong about the willingness of these government entities to pay. Many of those public agencies have openly expressed doubts about whether they want to pay for this revised plan with sharply reduced water supplies, and the water bond that would pay for habitat restoration is seen as so unlikely to pass it has been postponed twice. The Obama administration has argued strongly in favor of the FHFA adopting the principal-reduction program for Fannie and Freddie, saying it would provide more sustainable loan modifications. "We think there's a set of cases where it's clearly in the interest of the taxpayer for them to do principal reduction upfront," said Treasury Secretary Timothy Geithner in congressional testimony earlier this year. In April, the agency said that loan forgiveness would save about $1.7 billion for the companies, relative to other types of relief. At the time, the agency said that because the Treasury was paying to subsidize those write-downs, the relief would still cost taxpayers $2.1 billion, offsetting any savings to the companies. The Treasury Department rolled out the debt-forgiveness program in 2010. Fannie and Freddie opted against participating. The initiative, part of the administration's Home Affordable Modification Program, is open to homeowners who have missed their mortgage payments or face imminent hardship and who owe more than their homes are worth. The program has been increasingly adopted by mortgage servicers that handle deeply underwater loans which aren't guaranteed by Fannie and Freddie. To qualify, homeowners must make at least three payments under the reduced loan amount, and principal balances are cut in installments over three years. The median principal amount reduced under the program has been $69,000. It will be interesting to see the analysis, but the results make sense to me. Every incremental improvement to resolving unsustainable, underwater mortgages moves us a little closer to the end of this nightmare. Update: Not long after I post this, FHFA announces that Fannie and Freddie will not offer principal reduction. It is interesting that FHFA is worried about the Treasury subsidy and the possibility of a relatively small net loss to taxpayers on a nationwide basis. I think Treasury is willing to take that risk, because they see it as a much needed investment in improving the economy and neighborhoods. The first page of the new draft BDCP document has a refreshingly honest statement. it has been clear that previous preliminary proposals were not likely to satisfy the statutory requirements necessary for securing permits. So the BDCP has finally gotten "real" about the science. But is the new process also going to "get real" about basic issues of economics and finance? It doesn't seem like it from this new framework. From everything I am told, the alternative that is likely to be "permittable" will not deliver any additional water compared to the status quo, possibly even less. Even under the original dreams of 6.5 maf of exports, the tunnels/canal were a pretty marginal investment. At 5.5 maf, it is a bad investment for ratepayers and probably unfinanceable. At the supposedly permittable 4.5 maf (less water than the 4.7 maf no action alternative), the tunnels are a financial joke. But the framework offers a glimmer of hope for the agencies (and water plan consultants). It has a multi-year science based decision tree process whereby there is a chance that the public's multi-billion dollar investment in habitat will allow the water supply project to be upgraded from a financial joke to a bad investment in 15 years or so. The water agencies seem to be reacting with a mixture of denial and anger. At their June 26 meeting, Metropolitan Water District staff was inexplicably still presenting their 2010 water supply fantasies to their board of directors. Jason Peltier was far more honest when he recently declared 4.3 maf an insult, and that the BDCP was on a crappy path for Westlands. The new water buzzword that I have been hearing in 2012 is the need for "leadership." In my opinion, real leadership would pull the plug on the BDCP before any more money and time is wasted that could be used on less expensive, more realistic solutions. The project simply doesn't work. I have been wondering if we wouldn't all be better off if the state could move the agencies further along the path to acceptance by reimbursing them for a significant share of their BDCP planning costs. In return for the public dollars, the agencies would release all the BDCP data and studies for public use and improvement of our knowledge of the Delta. Does Regulatory Assurance for Delta Water Exporters Require the $13 billion Tunnels? A few weeks ago at the BDCP meeting, I asked this question to David Sunding, the economist hired by the BDCP. He said it was a really good question, but answered he had analyzed the scenarios he had been given. His conclusion from that economic benefit analysis was that the tunnels were worth paying for to the water contractors because the BDCP would provide regulatory assurance against further water supply reductions under the ESA, whereas the "no action" alternative did not include assurance against additional water supply cuts if the fish are not recovering. Based on the value of incremental water supply, improvements in water quality, and seismic risk reduction, the tunnels were not a good investment for water exporters. Those three benefits were about $5 billion short of the capital costs of the tunnels alone. It took regulatory assurance, a benefit he valued at $11 billion in one scenario, to put them over the top. But the tunnels don't get regulatory assurance without the huge habitat program, so how can all that economic benefit be assigned to the tunnels? In the BDCP most, if not all, of the environmental gains that could result in regulatory assurances for the overall projects are due to the habitat investments, not the tunnels which have uncertain environmental effects. The BDCP envisions $4 billion in habitat investments paid for by federal and state taxpayers. So my question is could a similar $4 billion investment in habitat in a "no conveyance" alternative merit a comparable regulatory assurance from the Fish and Wildlife Service? What about $2 billion? In a typical HCP, the regulated entity pays for investments in habitat that would not otherwise be made and thus improves the overall survival prospects for the species. In return for the habitat investment that advances recovery of the species as a whole, the HCP provides incidental take permits and some degree of "No Surprises" assurance that there will be no further regulatory or financial burdens for the regulated entities under the ESA. In the proposed BDCP, regulated entities are paying for water supply infrastructure and the public is paying for the habitat. Why would that be more deserving of regulatory assurance, than an HCP without the tunnels where the exporters themselves are paying for a comparable investment in habitat? If a $2-4 billion investment in habitat could buy regulatory assurance on the current biological opinions, by my understanding of Dr.Sunding's results, the water contractors would be better off with this "no tunnel" HCP than paying for the tunnels through the current BDCP proposal. Even more importantly, taxpayers would be much better off if the water agencies paid for the habitat (or at least shared the cost). In this scenario, the cost of the water bond wouldn't be taking funds away from education and other essential services. The BDCP would also have a much better chance of success since it wouldn't need the water bond to pass. In-Delta interests would not be happy with such extensive habitat restoration, but they are supportive of many habitat projects, and would be more accepting of BDCP if it didn't come with the peripheral tunnels. I am no environmental scientist or ESA lawyer, so I may be missing some reason why a "no conveyance" HCP couldn't work as a BDCP alternative. But from my economic perspective, it certainly looks like a win for all stakeholders compared to the current BDCP proposal, and a hell of a lot more financially and politically feasible. Despite the dozens of so-called alternatives, the BDCP has never included a strong no-conveyance alternative. Is it really too late? 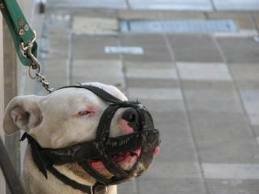 To what extent is Wall Street responsible for Stockton's bankruptcy? It has been said by many, including me, that no one has enough fingers and toes to point at the people who are responsible for the poor and risky decisions that put Stockton into it's mess. It is true, and that is just looking at twenty years of City officials. But what about Wall Street and the investors who financed the City's toxic bond sales? Are they responsible too? By far, the largest of Stockton's bond issues and its most disasterous is a $125 million pension obligation bond issued in 2007. In the 2012-13 pendency budget, the City is not paying $6 million in debt service on these bonds, by far its largest single default. And this particular bond is backloaded, meaning the payments will rise significantly in future years when more of the principal is due. The original underwriter of that bond was Lehman Brothers, who collected handsome underwriting fees, after selling the idea to Stockton's city management and ultimately the City Council. See this 2006 story in the Stockton Record from the special City Council meeting in which former Stockton CFO Mark Moses and Lehman Brothers representatives made their pitch to the City Council to approve the sale of the pension bonds. I have clipped my two favorite paragraphs from the article, but recommend you read the whole thing. Now is a good time to address the city's retirement debt because the interest rate the city would have to pay on a bond is lower than the rate of return CalPERS expects to make on its investments, Moses said. Taxpayers could save as much as $4.7 million over 30 years by paying interest on a bond instead of watching its debt increase unchecked, he said. Alternatively, the city could contribute more money each year to its retirement funds, cut benefits or hope to either earn more on its investments or to see its retirees die sooner, said Rob Larkins of the investment firm Lehman Bros., which presented options to the council Thursday. He said he would not recommend that the city try to increase death rates. Update: 2:36 P.M. I just listened to Mr. Larkin's 2006 presentation, and the death rate comment wasn't really as significant as in the article. What is very significant is the way he presented the deal. He said "really it is just exchanging a pension liability for a bond liability." That isn't true. The only way to really change the pension liability is to change the benefits themselves, the liability are the promised benefits. The amount that is "unfunded" is determined by the value of the investments with CalPers and their expected returns. If the bond proceeds were given to employees themselves (perhaps to fund a IRA or 401k type retirement account), and the employees gave up pension benefits (all or a proportional share) in return, then it would be a true exchange of liabilities. The city reduces its risk, and the employees/retirees have more. Instead, the city is depositing the bond proceeds with CalPers to invest and hoping it earns a rate of return higher than their interest costs. It is very simply investing in the stock market with borrowed money. And to make matters worse, the City used a backloaded bond that deferred principal payments. Thus, it was like taking a cash out, interest only mortgage on your house to gamble in the stock market. It's a bit of a milestone, the % of mortgages that are either in foreclosure process (2.64%) or 90 days delinquent (7.13%) has fallen below 10% in the Sacramento Metro area for the first time since the housing crisis hit. 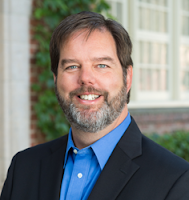 (See Sac Bee note on the new Corelogic data). This combined rate peaked at over 15% in 2010 in Sacramento (peaked around 20% in Stockton/Modesto/Merced), so that is significant progress. At the current rate of decline, it will be down to 5% in 2014, and that is when I think we will start to see a more normal market with rising home values. Historically, the normal delinquency rate is about 2% (and historically most delinquencies can be successfully resolved when people actually have equity in their homes). What will happen to Stockton Marina in municipal bankruptcy? Tonight, Stockton City Council will likely approve a "pendency" budget that will serve as the City's budget during bankruptcy. The City will likely be officially file for bankruptcy protection tomorrow. Already, the City has missed payments on 3 bonds, and as a result have already lost 3 parking garages and an 8 story office building (former WAMU building) slated to be the new city hall to creditors. The pendency budget for 2012-13 completely eliminates debt service payment on several additional bonds and loans; the largest being nearly $6 million due in the next fiscal year on over $130 million in Pension Obligation Bonds that were sold in 2007. The largest single budget cut is slashing $7 million in retiree healthcare subsidies with full elimination next year. Now that the City has lost the parking garages and office building, it is particularly interesting to see that happens to any other City owned real estate that has some revenue generating potential for its creditors. The immediate things to come to mind are the waterfront entertainment venues: arena, marina, and ballpark; all of which are losing money but do generate a revenue stream. The proposed 2012-13 pendency budget states, "eliminate appropriation for payment of debt service on the State Department of Boating and Waterways Marina loan - $685,000." However, when it comes to other waterfront entertainment venues (like the arena and ballpark), the city is reducing but not eliminating the general fund operating subsidy. Thus, the City seems to have signaled that it is more willing to give up the marina than the other waterfront venues. The State is not seen by Stockton City officials as being particularly helpful with its budget woes due to swiping redevelopment funds, realignment, inaction on pension reform (the City uses CalPers and does not have its own pension fund like San Jose), imposing the AB 506 process on bankruptcy, and sending the Comptroller in for an audit that costs the City time and money. Add that to the burdens of the Delta Plan (both real and perceived), and I doubt anyone at City Hall feels particularly terrible about defaulting on a loan to a State Agency relative to all the other painful cuts. Because of bankruptcy protection, Boating and Waterways will not be able to take immediate possession of the marina in the way Wells Fargo sued for the parking garages and office building after default. I expect the City should continue to operate the marina through the bankruptcy period. But it will be very interesting to see how Boating and Waterways approaches the loan default, and who will be operating the marina long-term. DBW is in a tough spot. Maybe it is another opportunity for American Lands and Leisure which recently took over operations at Brannan Island State Recreation Area. Dr. Sunding went through a presentation that had sophisticated analysis of the usual categories of benefits attributed to the tunnels, a)water supply, b) water quality, and c)seismic risk reduction. All together, these three added up to about 50 cents of benefits for every $1 in costs to the agencies (using the realistic seismic risk scenario, not the worst case). So how did he figure that the benefits exceeded the costs for the agencies? It came from a new category of benefit that was not in his original scope of work with DWR: the value of eliminating regulatory uncertainty. He put forward a scenario where regulatory assurance was more valuable than all the rest of the benefits combined. $11 billion in one scenario. And he argued that regulatory assurance was the main objective of the agencies in the BDCP process, and a normal component of HCPs under the ESA. He is right about that. But environmental lawyers tell me that there are significant limits on the legal assurances in HCPs, and there are serious doubts about whether the BDCP can deliver much regulatory assurance at all due, in part, to enormous uncertainty about the environmental effects of the tunnels. With words like "crapshoot", Mr. Peltier is clearly not very impressed with the regulatory assurance in the BDCP. Apparantly, not many other people are either. I asked a small sample of objective scientists, lawyers, and environmentalists outside the Delta if strong regulatory assurances would or could be part of the BDCP. The responses were "Not a chance", "No way", and "Sunding analyzed a project that is rejected by the regulatory agencies." Maybe there are experts who disagree, but it is clear that Sunding touched on a very controversial topic in the BDCP. I am pretty sure that any project that might offer some level of regulatory assurance will have lower exports, and thus lower water supply values, than the scenarios he modeled. The good news is we finally have a rational discussion and debate about economics, and some reliable numbers out in public. It's about time. While I disagree with a few parts (mostly with the scenarios he has been given to evaluate), for the most part, I think Dr. Sunding's quantitative estimates are very reliable, and they inform the planning process. Benefit-cost isn't just a pass/fail test at the end of the process. BDCP would have been much better off if they had hired him years ago. Opened the Wall Street Journal this morning, and to my surprise, there was Brannan Island State Recreation Area on page 3 (pictures at link, article behind paywall). 2. If ALL is more successful than state parks at operating Brannan (meaning they don't lose money, take care of the resource, and visitors are satisfied), will that make the realization of the ambitious State Parks plan for the Delta (which includes adding 4 new parks) more likely or less likely? 3. From the article, it appears that State Parks is guaranteed some payment from ALL (maximum of fixed bid or a percentage) regardless of whether or not they turn a profit at Brannan Island. If the state can get that kind of return on a park where costs were double revenue, the implications for the system are interesting. 4. Most importantly, I am very glad the park isn't closing. Funny for me to see this well written article written by Max Taves, as I have had a few recent conversations with him about Stockton bankruptcy and the regional economy. I'll have to ask him about his impressions of the Delta.